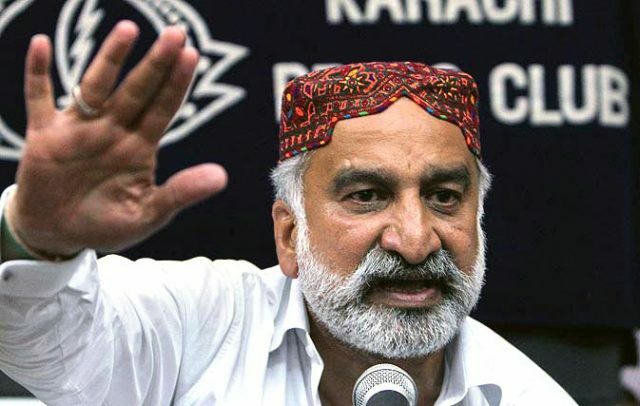 LAHORE: Pakistan People’s Party (PPP) on Thursday rubbished a memo – circulating on social media and released by Sindh caretaker government – that accused of party of planning an attack on former party member Zulfiqar Mirza, Dr Fehmida Mirza and other Grand Democratic Alliance (GDA) members in Badin. “It is a pre-planned conspiracy by the GDA and Mr Zulfiqar Mirza,” the Senator Taj Haider said, terming the accusations of planning law and order situation or target killing of the GDA leaders as false. The PPP said defaming political opponents and levelling unfounded allegations are gross violations of the code of conduct, asking the ECP to monitor all public meetings and rallies before and on the election day. A notification dated July 4, 2018, released by the caretaker Sindh government was circulated over social media. According to details of the memo, the Hyderabad commissioner had reported a threat that “PPP leadership has planned to create law and order situation” before the elections. 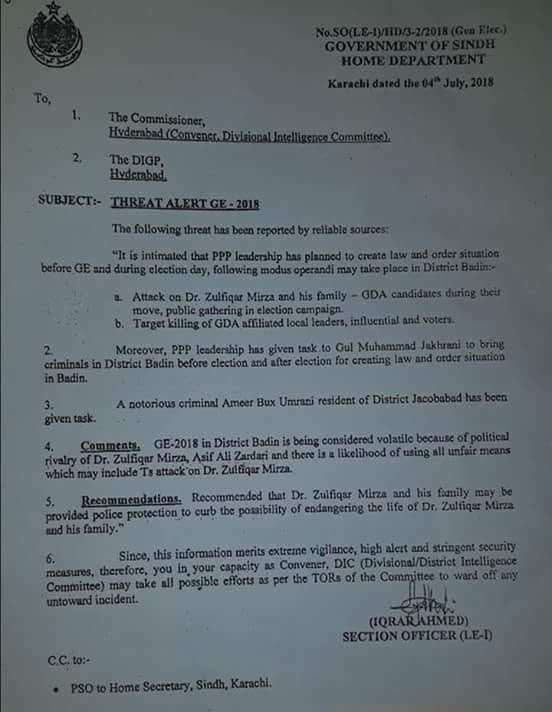 The memo claimed that attacks and target killings of the GDA leaders were planned by the PPP through their associate and ‘notorious criminal’ Ameer Bux Umrani. The commissioner also issued a high alert and strict security measures in the notification.